Google prides itself on taking moonshots, from self-driving cars to humanoid robot workers. But it’s also behind a very literal moonshot: the Lunar X Prize, which launched in 2007 to convince private companies to invest in landing a spacecraft on the moon. 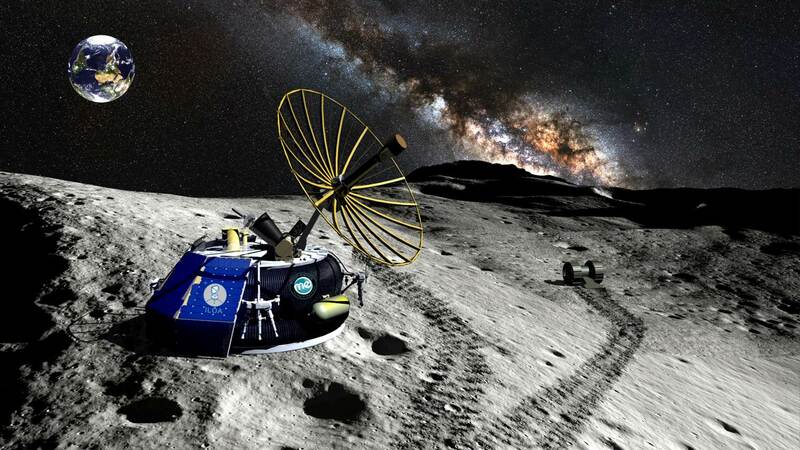 Space startup Moon Express, one of the more promising contenders, will reveal the spacecraft it plans to send to the moon tonight at the Autodesk University conference in Las Vegas. FastCoExist and FoxNews.com both report that the lander looks a bit like a Mars rover packed atop a soft donut. Instead of the legs lunar landers have traditionally set down upon, the craft will take advantage of fuel tanks fashioned into circular bumpers. Known as the MX-1, the lander will weigh about 130 pounds and be small enough for a human to put their arms around, according to Fox. In future missions, Moon Express plans to mine minerals and bring them back to Earth. There’s a lot of money riding on the first 2015 deadline. Google put up $40 million to incentivize companies, and the first one to make it there before the end of 2015 will receive $20 million. On top of being the first private company to reach the moon, if a U.S. team wins, it will also have the honor of landing the first U.S. spacecraft on the moon since 1972. Moon Express was founded in 2010 by Naveen Jain, Bob Richards and Barney Pell, all of whom are closely affiliated with Singularity University at NASA Ames Research Center in Mountain View, Calif. Richards and Pell are NASA alumni.